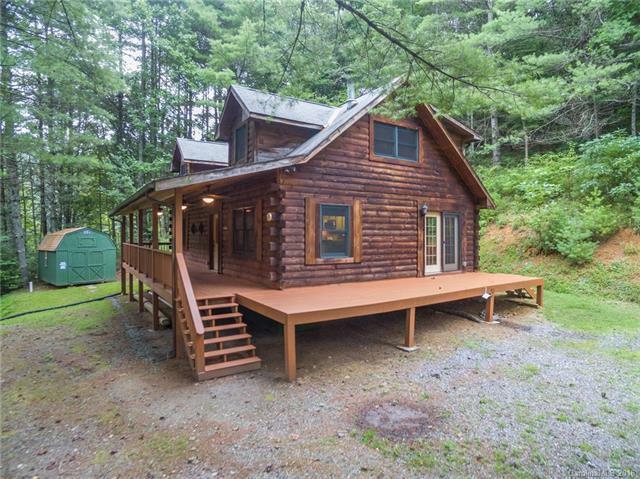 Light and bright cabin on almost 3 acres of serene forest across from Cane River! Spend Saturday trout fishing with the kids or playing in the woods, then enjoy the company of family and friends in your oversized open kitchen, or roast s'mores in the crisp fall air. Style and charm meet integrity in this 3BR cabin, and with features such as an open floor plan, master on main, stainless appliances, hardwoods throughout, tankless H2O, whole house propane generator, large laundry/mud room, and 4-car carport -- it's obvious this home was designed with care. BONUS! Total heated living area doesn't include large loft space (perfect for media room or rec room), or upstairs bath. Enjoy your piece of WNC paradise and spend the weekends skiing, hiking, or cozying up by the fire. Sold by Bee Tree Realty, Llc.